If you are in search of a quality education, short-term training, and a dynamic college atmosphere you've found the right place. We offer programs targeted toward the industry's rising technical careers and top paying salaries. Our flexible class schedule and assortment of technical and general education courses, allow prospective students to attend college as well as maintain a full-time career. Our faculty and staff strive for academic excellence and innovative teaching initiatives. 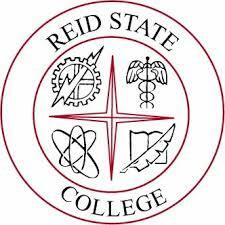 Come join the college that works!Enhance your career and quality of life with a degree from Reid State College.